With snowfall on the horizon, it’s time to get all that winter sports gear out. If you were looking for the perfect skis to accompany you on high-speed downhill slopes, then we certainly have found them. 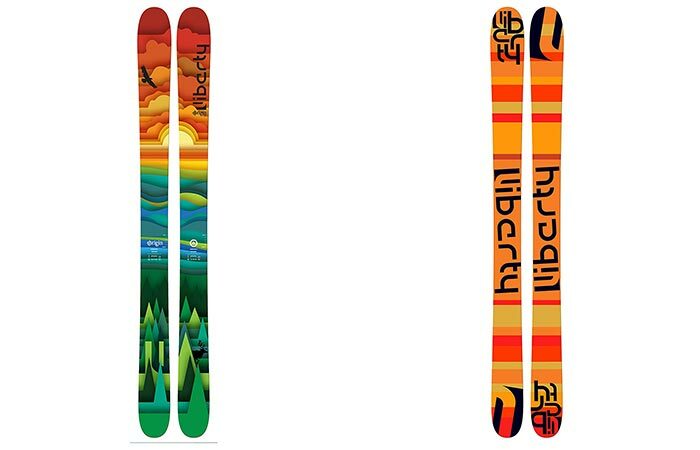 Presenting the Liberty 2016 Origin Skis! Designed for comfort and speed, while still boasting awesome looking skins, the Origin Skis are just what you need for this winter. 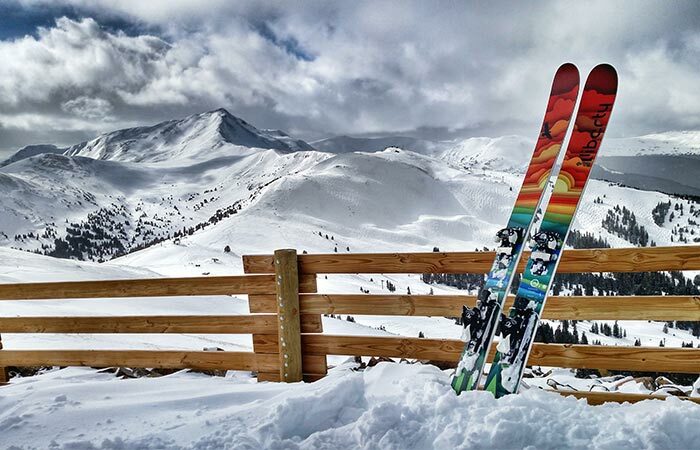 Smooth and packed with features, these skis are award winning. The Liberty Origin offers superb floatation with excellent turn radius and shape. They managed to do this by combining the Bomb Rocker with a Multi-Radius Sidecut. Liberty expertly designed The Origin Skis to not only look good, but to perform superbly as well. By combining the Bomb Rocker with a Multi-Radius sidecut, the Origin becomes an exceptionally versatile and surfy smooth ski, even in deep powder. The Bomb Rocker features a tail rocker and a full tip with some positive camber underfoot that allows for supreme floatation, and edge hold on those sharp turns. We added this photo again, because, let’s face it, the view is simply amazing. Besides, it makes one want to get out there and ski those slopes. Furthermore, the Multi-Radius Sidecut allows you to expertly maneuver the skis into any shape turn that you can think of. This also means that you can easily and smoothly cut in between thick trees. In addition to this, the Origin has an Unbalanced Flex. This means that it is softer at the tip and the tail, while being stiff in the midsection. This allows for excellent grip, floatation, and, of course, control. In addition to these properties, the Origin skis are constructed with Liberty’s Speedcore that features lightweight poplar and bamboo that has been vertically laminated together. Considering the speed that you’re going to be traveling at, you don’t want to forget your helmet. These skis measure in at 190cm (74.80”).